Andy Townend says he is expecting Joe Cordina to "run" when they meet for the British and Commonwealth Lightweight titles at The O2 in London this Saturday (April 20), live on Sky Sports in the UK and DAZN in the US. Townend (22-4, 14 KOs) is undefeated in six fights since a loss to Cordina's gym mate Martin J Ward in a failed bid for the British Super-Featherweight title in 2016, and Barnsley's 'KO Kid' is convinced he will be crowned a British Champion at the second time of asking. 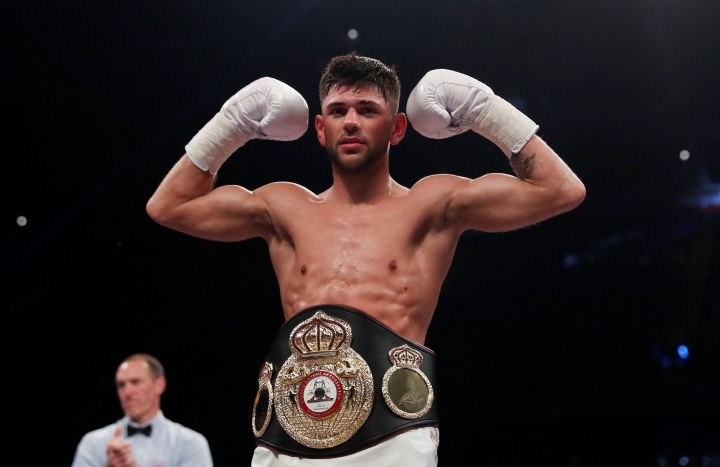 Team GB standout Cordina is unbeaten in eight fights since turning over in 2017, picking up the Commonwealth title against Sean Dodd last time out at the Ice Arena Wales in Cardiff. The 'Welsh Wizard' is being tipped to reach the top by many but Townend doesn't buy into the hype. "I'm expecting him to run and stay out of my way," said Townend. "He's going to bob and weave to stay out of my range. I think he'll try to box clever. I'll be going out there to enjoy myself. I'm going to take the fight to him. It's going to be a great fight and as long as I'm 110%, he's going to be in for a hard night. "Joe has a good pedigree having been part of the Team GB squad for a number of years. It's a different kettle of fish now he's in the pro game. There's longer rounds and tougher opponents. I've got more experience than him in the pro ranks but it's all down to Saturday night. Let's see what he's got. "If this fight goes my way then it won't be going the distance. I just go out there to enjoy myself. If it goes in one round, it goes in one round. If it goes in twelve, it goes in twelve. I'm prepared for a hard night and may the best man win. "It's great to be back on TV involved in such a big show at The O2. To win the British title would be massive for me. Everyone in the gym is doing it now. Robbie Barrett had it and so did Josh Wale, so it would be nice to bring it back home to the gym."